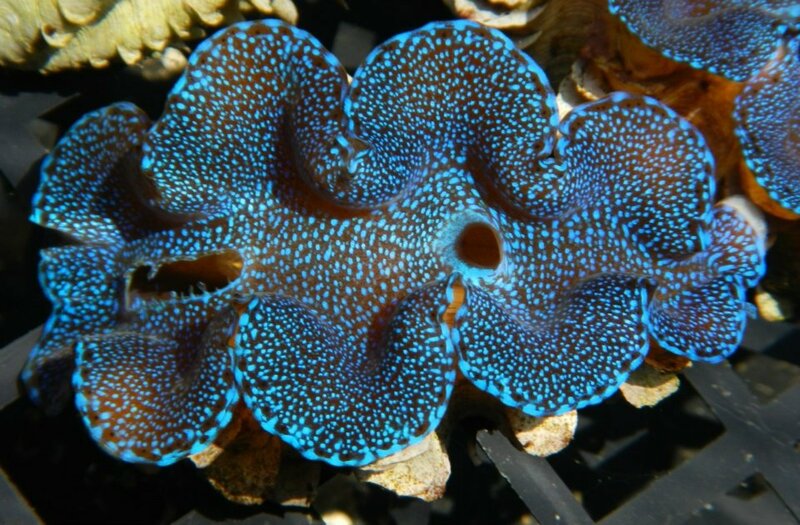 Listen up clam connoisseurs, the very rare and routinely unattainable blue squamosa clams (Tridacna squamosa) are getting imported into the aquarium trade in decent numbers by a small number of wholesalers. 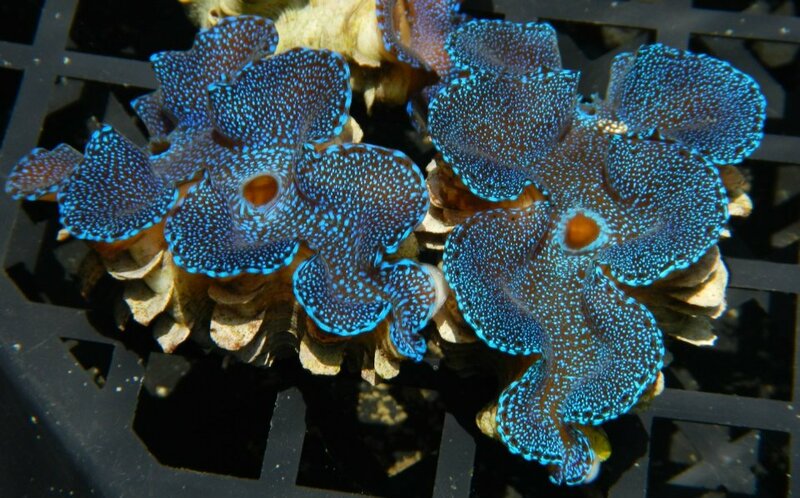 While we don’t know exactly how many clams are trickling in or who all is getting their hands on them, companies like Ocean’s Secrets International and Route 66 Marine, both wholesalers, have made recently made remarks and posted photos of their fresh blue squammie clams on their respective Facebook pages. If the photos are any indication of the amount of clams brought in, we’re guessing that wholesalers have gotten their hands on a healthy number of these rare Tridacnids, with numbers potentially reaching a dozen or more individuals at some wholesalers. 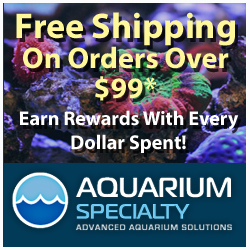 In the coming weeks, these blue squammies will trickle onto the websites of online retailers and the aquariums of local fish stores, where they will probably fetch over $500 per individual. 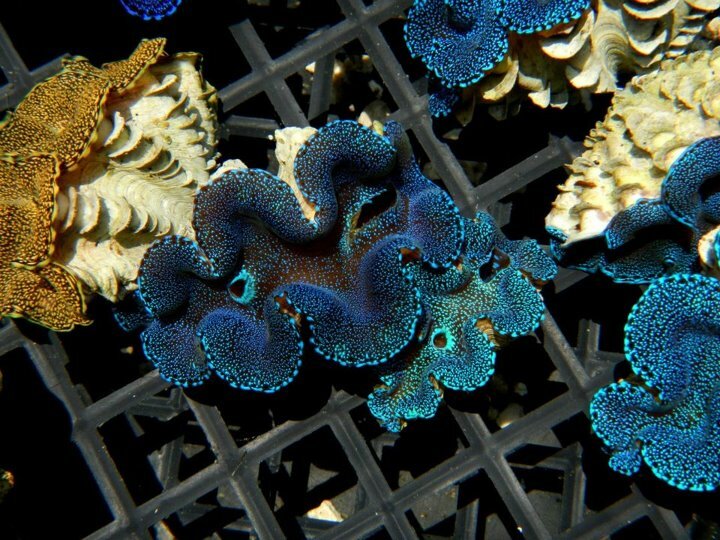 Unlike its cousins the maxima (Tridacna maxima) and crocea (T. crocea) clams, which are more than common in the hobby, the squammies do not frequently show up in the blue hue, and when they do, they are sold very quickly and for a handsome sum. Being clam junkies ourselves, we could only wish to get our paws on one of these rare beauties. 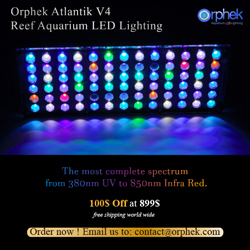 It’s unlikely we’ll see one of these in one of our tanks anytime soon, but we could wish right?